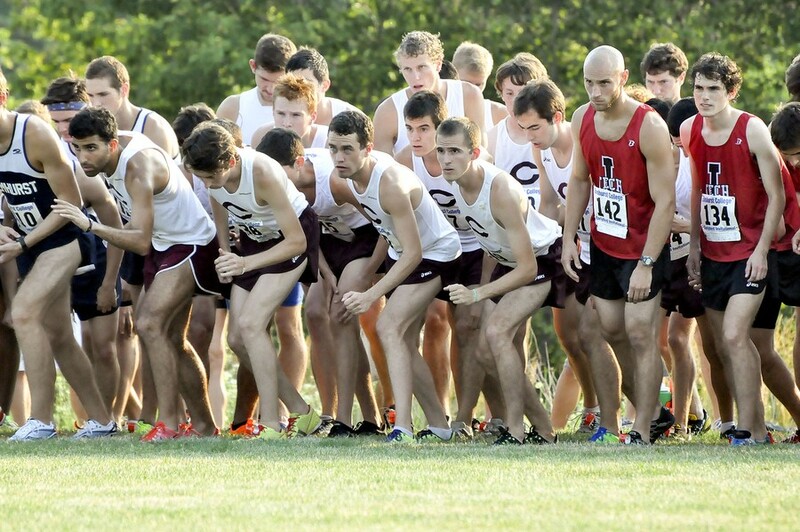 It would be remiss to call the Maroon men’s season a disappointment, even though they finished ninth in the NCAA Midwest Regional on November 12 and failed to advance to the Division-III Cross Country National Championship. Unranked at the start of the season, Chicago rose to as high as 10th in the October 19 USTFCCCA National Coaches’ Poll and finished the year ranked 32nd in the nation. It would be a mistake to call it anything less than progress. The team started the season with a second-place finish at the Elmhurst Invitational and a first-place finish at the Aurora Invitational the following week. At their next four meets they finished fifth, sixth, sixth, and second, respectively. The men then finished third at the UAA Championship on October 29 at Montrose Harbor, their highest finish there since 2005. At the Midwest Regional Championship, where the men concluded their season, third-years Bill Whitmore and Isaac Dalke received All-Region honors. Whitmore advanced individually to the National Championship on November 19, where he finished seventh overall and was named an All-American. In light of this season, going forward, Hall is optimistic. The running continues. Third-year Bill Whitmore serves as this year’s cross country MVP, which comes as no surprise, as he was the only member of the team to run at Nationals. Whitmore placed seventh at Nationals and also became an All-American with his performance of 24:19 on the 8K course. Whitmore’s stellar performances spanned the entire season as he was name UAA Athlete of the Week three times and also placed fourth at Regionals. Whitmore has also proven himself to be one for the record books, with his finish at Nationals being the third-best in school history and the fastest time yet. Making his debut at the Elmhurst Invitational, this rookie came out of the gate strong with a time of 26:02 on the 8K course at the Aurora Invitational, placing second for the Maroons. Zalov consistently ranked in the top of the squad and was the only first-year to run at UAAs and Regionals. With top members graduating, Zalov will be one to watch for the 2012 season and certainly will be an instrumental part of next years efforts. Going from being a solid team member to earning All-Midwest Region honors isn’t easy, but third-year Isaac Dalke did just that. Dalke placed second of the Maroons and Regionals with a time of 25:41, bested only by Whitmore. Dalke’s most impressive finish, however, was at UAAs, where he placed fifth, securing Chicago a top-three finish. Dalke went from being a relatively unknown name in the Maroon office to a regular headliner.